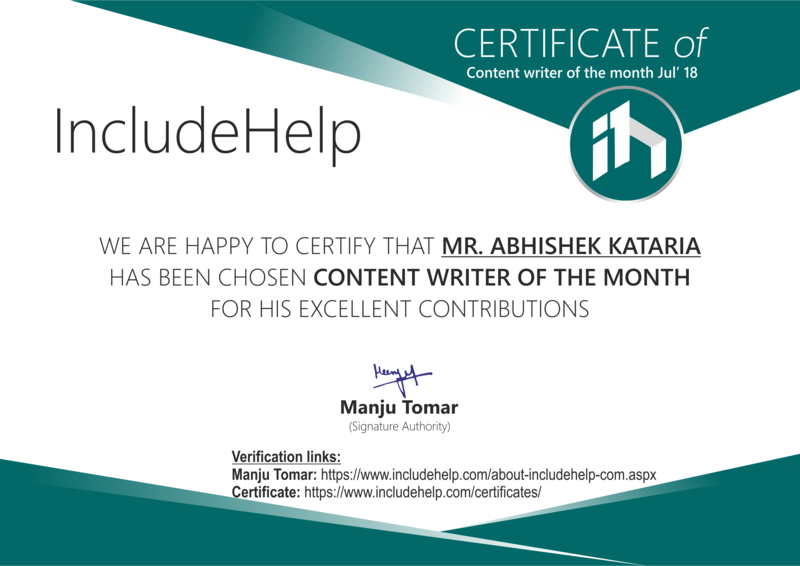 We are feeling glad to announce that Abhishek Kataria is the Content Writer Of The Month (July 2018) on the basis of his excellent contribution and his support to us. I would like to express my heartfelt thanks for selecting me as a technical content writer of the month and giving me this opportunity to showcase my skill and passion. 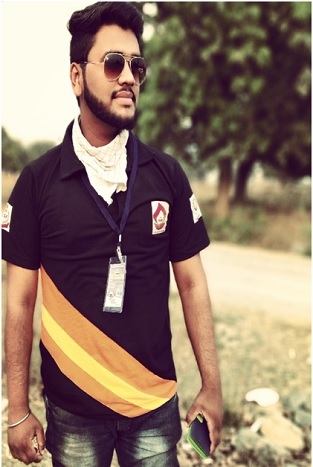 I have written almost 27 articles till now and my experience was great. The best part of this website is that here we can find a wide variety of different articles and writing opportunities on different platform. For me, IncludeHelp is the best website which has been so responsive to my need and concern. I love to refer this website as much as I can to everyone who wants to learn anything regards field of computer science and I wish to write for the site whenever I get the chance. Trust me includehelp will always there for you. Thank you for this opportunity!